Its a Munich club music meet up on this split 10" by Rave And Romance Records and Jahmoni Musik. 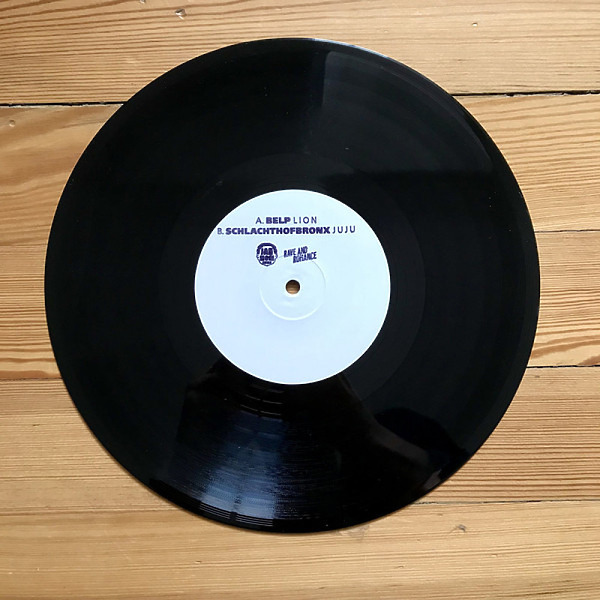 Starting the whole thing of, it's Jahmoni Musik label boss Belp with an epic jazz intro to LION before he flips the tune into a breakbeat driven 120 bpm belter with layers of funky-as-hell percussions, moody textures and that wonderfully dubbed out "lion" vocal sample. On the other side you'll find Schlachthofbronx getting a 130 bpm dub riddim going that builds up his tension with one of their far-travelled synth melodies and then plunges into a monster of a rolling bass line that satisfies all your soundsystem & low end pressure needs.